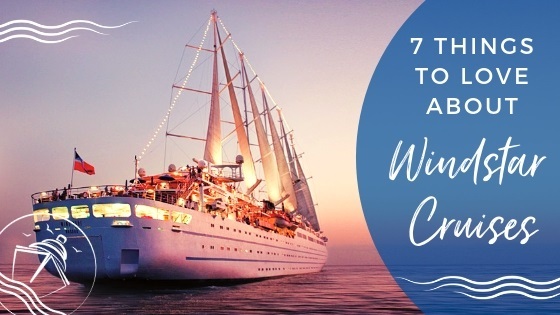 Have you ever thought it would be cool to get a bird’s eye view of your favorite cruise ship? 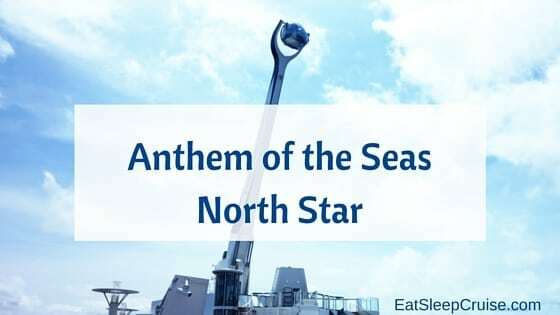 Well, the Anthem of the Seas North Star has made that dream come to life. Debuting on Quantum of the Seas, and now also found on Anthem of the Seas, the North Star is the first aerial gondola found on a cruise ship! 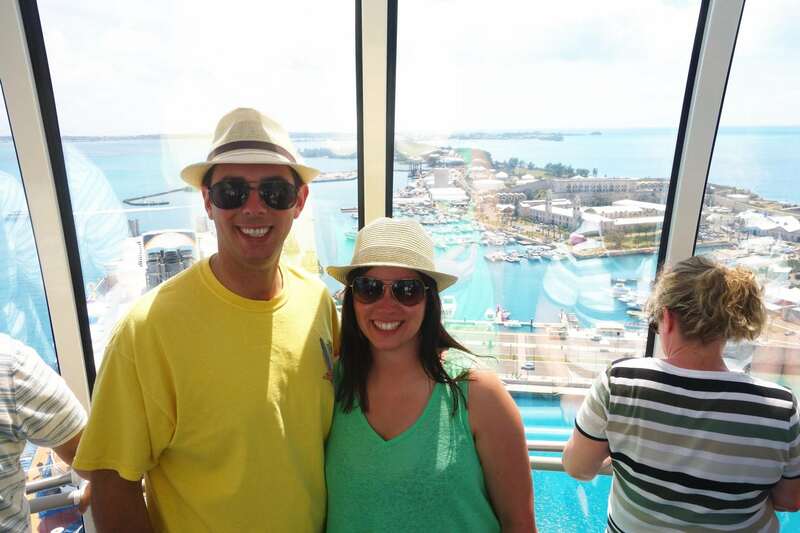 We take you to new heights in our photo review of North Star, among the many “firsts at sea” found on the Royal Caribbean Quantum class ships! 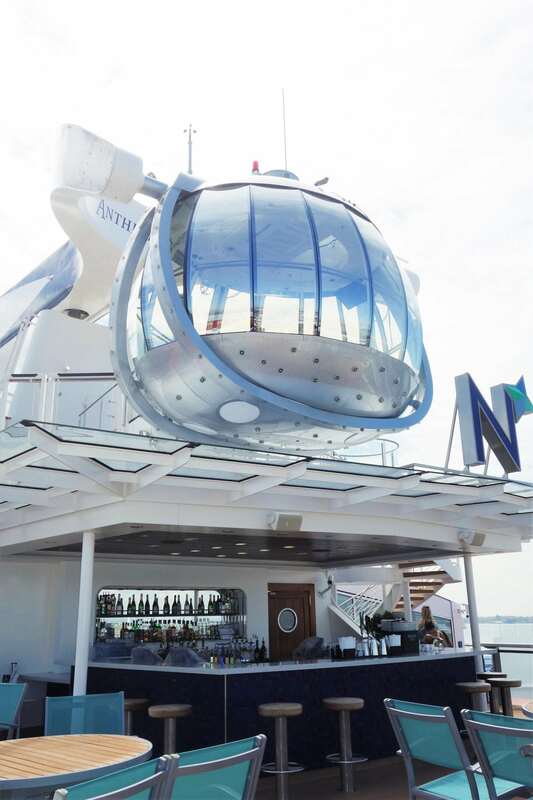 North Star is a jewel-like capsule that ascends 300 feet above sea level to give passengers a breathtaking 360 degree view of their surroundings. 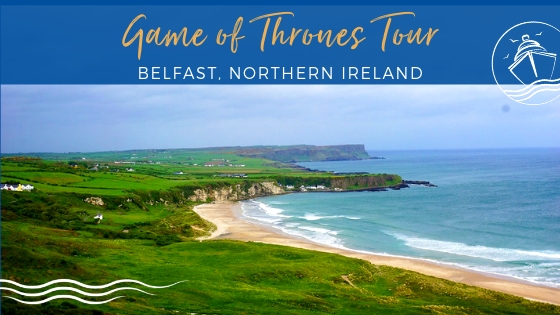 It is open most days of the cruise, weather dependent, varying time slots from 8am to 6pm. 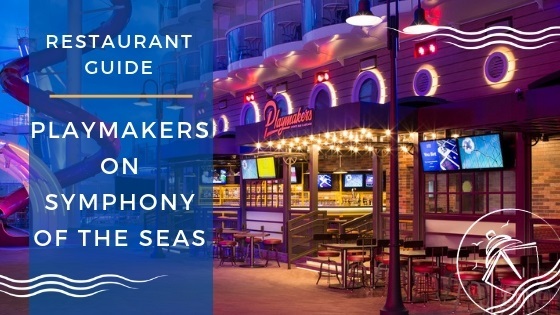 There are select pre-booking options available for the Anthem of the Seas North Star using the cruise planner prior to boarding. 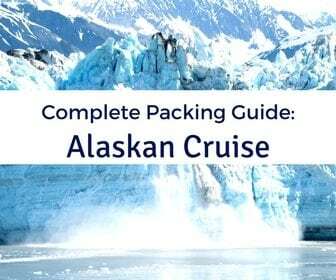 Once onboard, be sure to check the cruise compass for details. 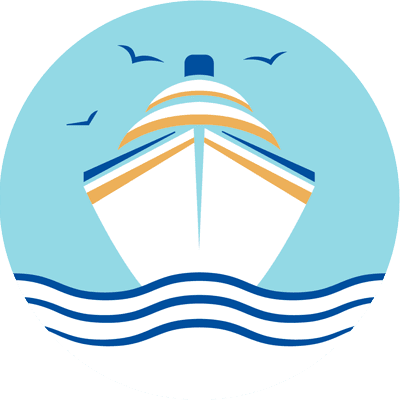 On our sailing, reservations were required all days expect embarkation day, but on longer cruises, they are only required for port days. 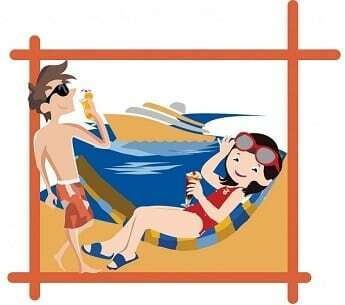 Reservations can be made once onboard at Guest Services. On days where reservations are not required, you can choose to wait in queue for North Star. Be advised that the line will be cut off 30-60 minutes prior to closing time. For our ride on the Anthem of the Seas North Star, we were able to pre-book select time slots on Day 3 and Day 4 of our cruise (port days). We reserved a 3pm ride on Day 4. When we arrived for our reservation, we were counted off into a group of 14 individuals then led up a spiral staircase to board shortly after. The ride itself is about 10 minutes on a port day and closer to 20 minutes on a sea day. 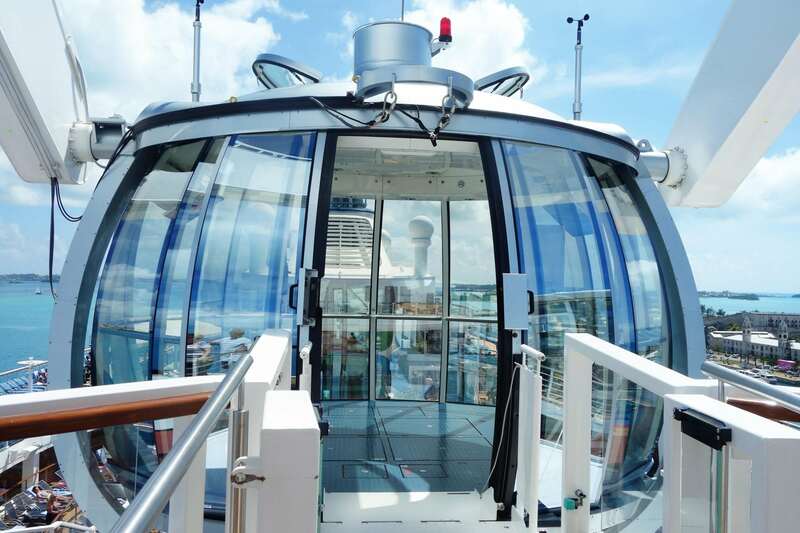 On sea days, the capsule ascends into the air and also pivots to the side of the ship; however, on port days, the capsule only goes up and down. The capsule only holds 14 passengers, making it an intimate experience once it’s your turn inside, but does add to the wait times if you do not make a reservation. 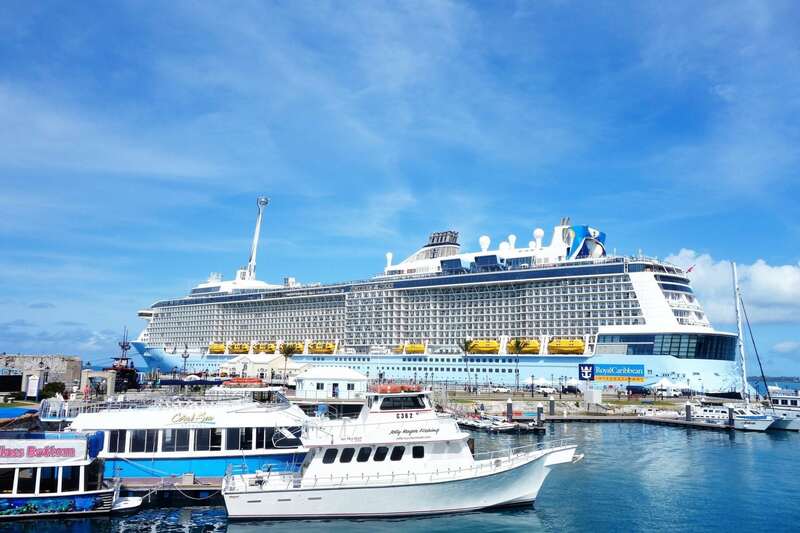 During our cruise on Quantum of the Seas, we rode North Star on a sea day, so this time we wanted to experience it on a port day. If we had wanted to ride again on a sea day, there were plenty of opportunities to do so. 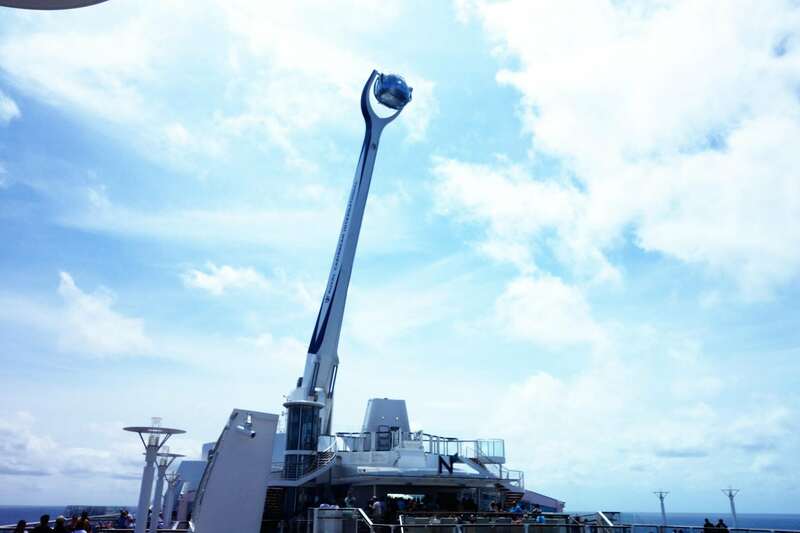 Once onboard the Anthem of the Seas North Star, get ready for spectacular views. While inside the North Star capsule, it is pretty amazing to be able to see the whole aft of the ship from above, including the pool area and even the giant giraffe, GiGi. 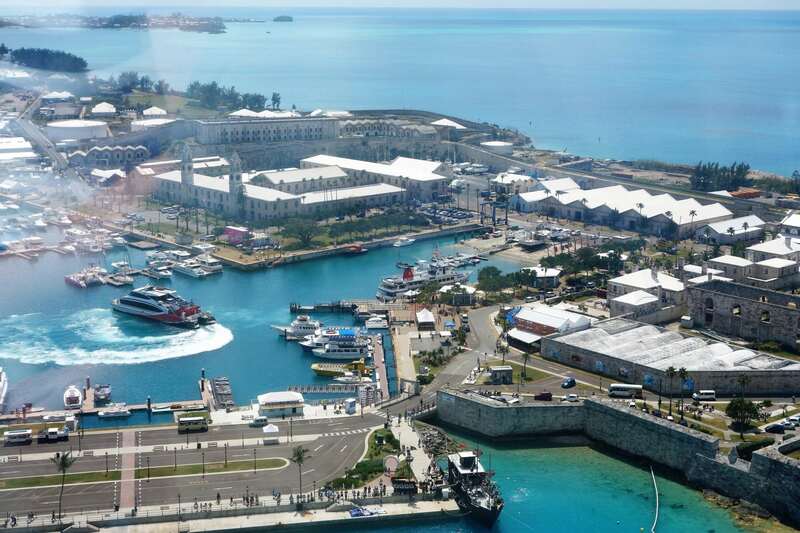 Not to mention, the beautiful landscape of Bermuda and the Royal Naval Dockyard. As we made our way up to 300 feet above sea level, we made sure to capture as many photos as possible. Luckily, it was sunny and bright this day so we were able to get some great shots aside from some glares/reflections in the glass. We even managed to get a few selfies. 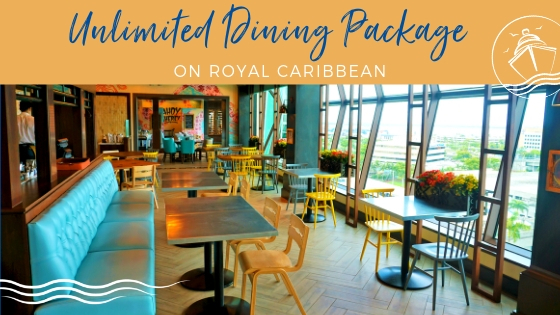 A ride on the Royal Caribbean North Star is definitely something that you should experience at least once while sailing on Anthem of the Seas. We recommend making a reservation or finding an off-peak time to avoid excessive wait times. The experience on a sea day and a port day is different, so if you have the time, check out both views. 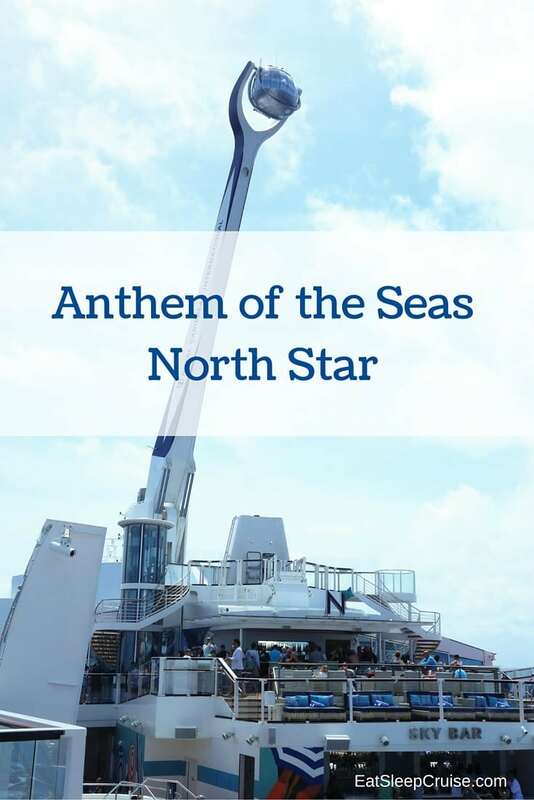 The Anthem of the Seas North Star is certainly for everyone, except maybe if you are claustrophobic. It is very slow moving and relaxing. Even passengers with self-reported fear of heights seemed to fare fine during the ride. It can also accommodate a wheelchair if needed. 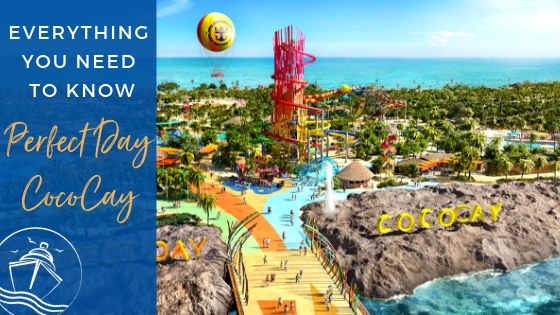 So, during your Anthem of the Seas cruise, get your camera ready and set out to explore all the “firsts at sea” that the ship has to offer! 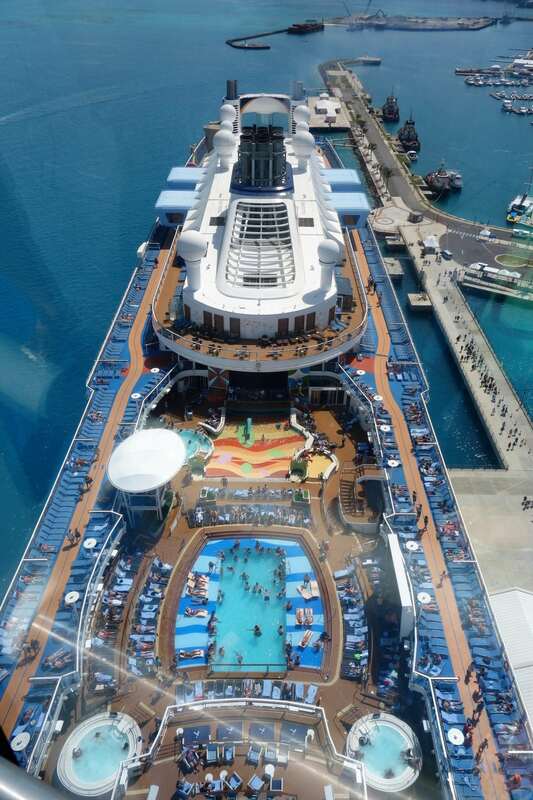 Have you sailed on Anthem of the Seas? 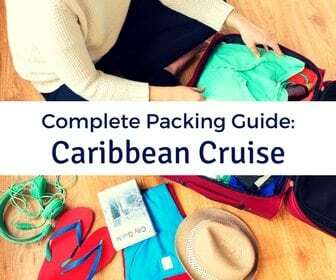 If so, what are your thoughts and insider tips on the Royal Caribbean North Star? Drop us an anchor below; we would love to hear from you. Just came back from a cruise on Anthem. We were disappointed with North Star because they no longer lower it down off the sides of the ship. The rides are only ten minutes long at sea and at ports. The view was great but not what was advertised. Hi Beth, thank you for the update. Sorry to hear that RCI restricts the North Star’s movements. We agree it is a great view. Happy Cruising.